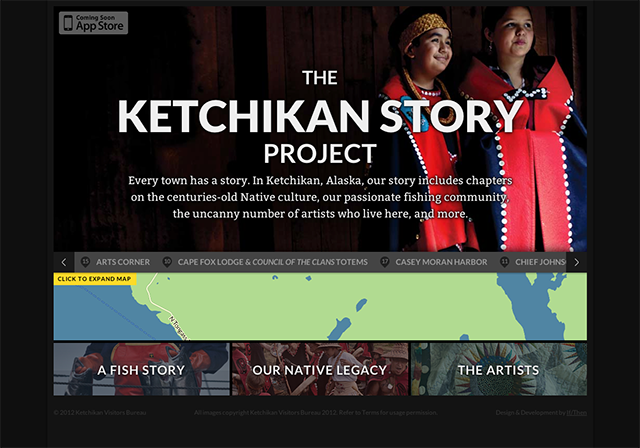 The Ketchikan Visitor’s Bureau found themselves in need of a website that could educate visitors and inspire people to explore the vast history, arts, and culture of the town. 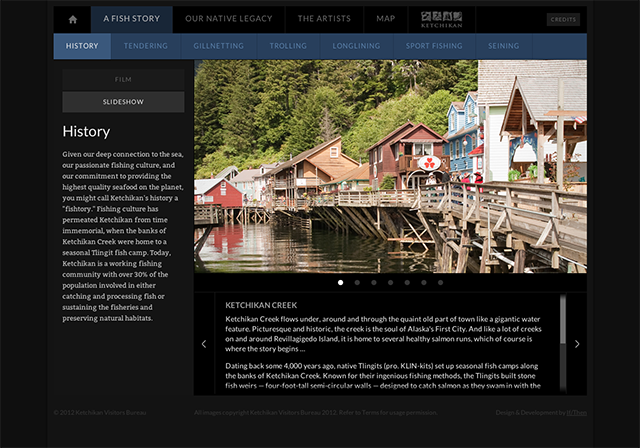 If/then created a website and companion iPad app that directs visitors to information about Ketchikan. 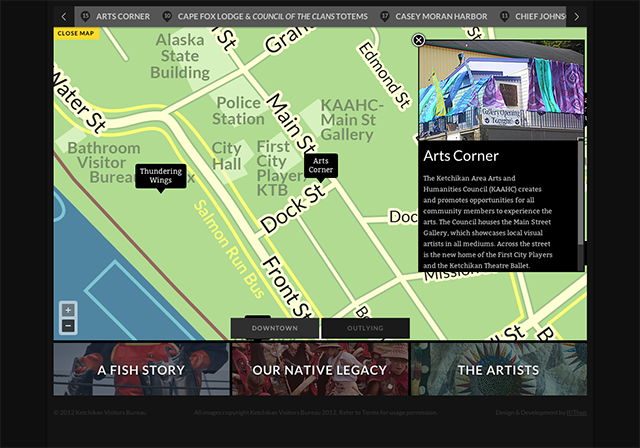 The site and application demonstrate a comprehensive presentation of the town and the community. 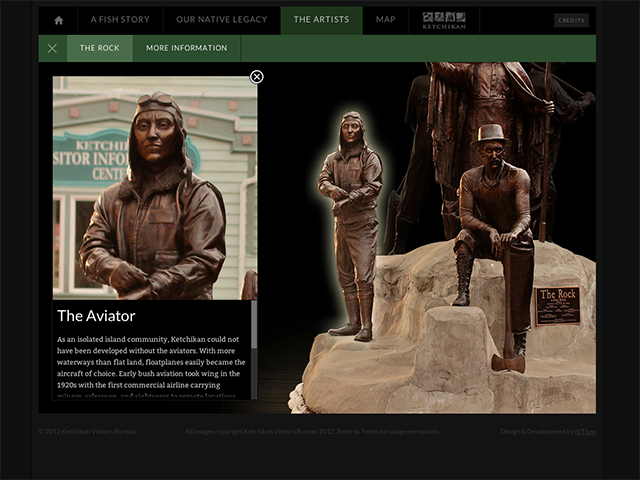 The application is largely targeted at a cruise ship audience, but is also available on the iTunes app store; it contains informative slides, pictures, interactive elements, and videos of arts and attractions.